. : LOGS ONLINE Y DIPLOMAS EN PDF – CLIC AQUÍ :. – Podrá participar cualquier radioescucha o radioaficionado del mundo que posea licencia en vigor en las fechas de celebración. – Periodo de celebración: desde las 00:00 UTC del 22-02-2019 hasta las 23:59 UTC del 10-03-2019. – Las modalidades a emplear son CW, SSB y MGM (modos digitales). Serán validos los contactos realizados en cualquier modo y/o banda entre 80 y 10 metros (incluidas las bandas WARC), con los indicativos ED8URT (en el aire el 22/23/24 de Febrero), EG8URT (en el aire el 1/2/3 de Marzo), EH8URT (en el aire 8/9/10 de Marzo) y EA8URT (en el aire el 25/26/27/28 de Febrero y 4/5/6/7 de Marzo). Los Diplomas en formato PDF se podrán descargar desde la web http://ea8urt.com/concurso-carnavales/ a partir de que se publiquen los resultados oficiales en dicha web. Any radio listener or radio amateurs of the world who hold a valid license on the dates of the event may participate. Period of celebration: from 00:00 UTC on 22-02-2019 until 23:59 UTC on 10-03-2019. The modalities to be used are CW, SSB and MGM (digital modes). Contacts made in any mode and / or band between 80 and 10 meters (including WARC bands) will be valid, with the indications ED8URT (in the air on 22/23/24 February), EG8URT (in the air on 1/2/3 of March), EH8URT (in air 8/9/10 of March) and EA8URT (in air February 25/26/27/28 and 4/5/6/7 of March). FOUR special diplomas will be awarded: BRONZE (RONDALLAS), SILVER (COMPARSAS), GOLD (MURGAS) and PLATINUM (QUEEN OF THE CARNIVAL) depending on the number of contacts made with the URT callsigns. It will be necessary to make at least 10 contacts with the special station ED8URT in any mode and band. 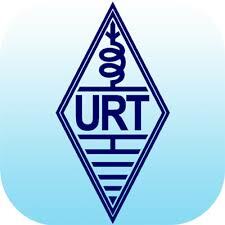 It will be necessary to make at least 10 contacts with the special station EG8URT in any mode and band. It will be necessary to make at least 10 contacts with the special station EH8URT in any mode and band. For this purpose, the duplicate contacts in the same mode and band with the same station are not counted. The Diplomas in PDF format can be downloaded from the website http://ea8urt.com/concurso-carnavales/ as of the publication of the official results on said website. A personalized trophy will be awarded (with the winner’s code and the position obtained), to the 5 radio amateurs with the highest number of contacts achieved with the special URT stations in the different modes and bands.